The future of America’s citrus crops is in doubt. A series of devastating events in the past few generations have collectively contributed to a marked decline in citrus productivity. Orange, grapefruit, and lemon crops have been on a decline throughout the country, putting even the once unassailable Florida citrus industry in crisis mode. Here are four common issues currently facing American citrus growers. Hundreds of thousands of pages can be dedicated to this topic, but few diseases loom larger on the grower’s mind than citrus greening disease, more popularly known as HLB (huánglóngbìng). Florida’s citrus growers claim as much as 90% of their 162,200 citrus acres and 80% of their trees have been affected. HLB causes premature defoliation, stunted growth, and irregularly-shaped and colored fruit in citrus plants. It’s spread by an insect-borne bacterium, but could also propagate through grafting. While this bacterial blight has been attested to in the Americas as early as 1942, it has only proven to be a real problem for American citrus growers in the past two decades. The majority of Florida citrus farms were affected within three years of its first reported appearance in the state in 2005, demonstrating the relative breakneck speed with which it can spread. With no cure commercially available, and with a market that may not readily accept genetically-modified HLB-resistant citrus, prospects remain bleak in the short-term. The trend of poorly-cultivated backyard orange trees in residential areas has also contributed to the spread of the disease by making it difficult to identify and destroy insects and infected trees. HLB isn’t the only citrus disease America’s citrus growers think about. Other diseases such as the aphid-borne Citrus tristeza virus, the wind and insect-borne Citrus canker, Citrus black spot and many others likewise continue to pose their own significant threats, cumulatively leading to a marked decline in productivity and destruction of the American citrus supply. Chewing and boring insects such as the Citrus leafminer (Phyllocnistis citrella), lightbrown apple moth (Epiphyas postvittana), and the Mediterranean fruit fly (Ceratitis capitata) are just some of the dozens of identified insect species that can wreak havoc on citrus crops. They’re an especially huge threat to younger trees. 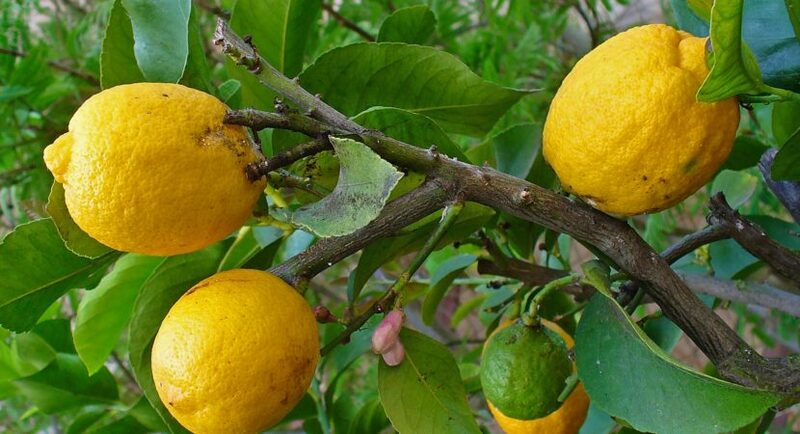 Even common variety garden pests such as scales, ants, mealybugs, weevils, rats, and beetles can negatively impact the productivity of a citrus grove. The destructive power of pests, however, doesn’t end at their propensity to eat chew through leaves, bark, fruit, and trees. As we mentioned in the previous item, some insects are disease vectors for all kinds of diseases deadly to citrus crops. Like bacterial and viral infestations, dealing with pest infestations requires ever-evolving technology to cope with pesticide resistance and the unintended importation of new pest species. The speed with which a minor, treatable infestation can go spiraling out of control makes it important for citrus growers to quickly identify, isolate, and treat affected acreage as quickly as possible. This makes pest problem monitoring a critical investment for all citrus farms. Aerial spectral imagery, for example, is a tool that can be used by farmers and scientists to discover and study pest infestations. This is done by using planes to capture and process high-resolution spectral images that reveal real-time information about plant health throughout every growing season. The longer, more destructive hurricane seasons of the past few generations have been especially destructive to citrus farms, flooding younger trees, destroying fragile buds and flowers, and occasionally uprooting productive citrus trees. Hurricanes have significantly affected citrus production in Florida, which bears the brunt of over a third of hurricanes to have reached landfall in the US mainland. However, the direct destructive power of these storms may not be the most pernicious to America’s citrus farms. It’s no coincidence insects are such a huge problem for citrus growers. The same sub-tropical climate that makes Florida, Texas, and California ideal areas for growing citrus also makes them ideal habitats for both native and invasive pests. The more frequent hurricanes have exacerbated the spread of destructive insect species as well as plant diseases. The wind-borne spread of pests and diseases creates a unique control issue. Strains that were being adequately controlled in one area can easily spread into a previously unaffected area that had no prior experience combatting it. Local knowledge that brings a problem to manageable levels may not be immediately available in newly-afflicted areas, allowing a delay in identification that can potentially wipe out a citrus crop. Local pest problem monitoring, as well as systematic action at the state and federal level, can contribute a lot to offset potential losses due to windborne pest and disease migration. California’s water shortage is all over the news—perhaps not so surprising given that much of the state’s agricultural acreage is irrigated deserts. What may surprise you is that Florida, home to both America’s orange basket and some of the wettest climates on the planet, is likewise undergoing a water shortage due to overuse of the state’s aquifers. Irrigation for golf courses and lawns and consumption by new housing developments have been blamed for the current water crisis. The reduced groundwater levels have also created geological disturbances such as sinkholes and laid the groundwork for saltwater intrusion. Saline intrusion is especially problematic, as many of the popular citrus strains are rather sensitive to salt. There are saline-resistant strains, but there are currently none that are widely cultivated. Taken together with all the previously mentioned challenges, citrus farmers may soon have to make the switch to other varieties of citrus, or different crops altogether. The magnitude of these issues seems to paint a grim picture. New technologies however, continue to provide solutions that allow citrus farmers to continue producing oranges, grapefruits, and lemons well into the future. Though perhaps they may not be the citruses we grew up with.